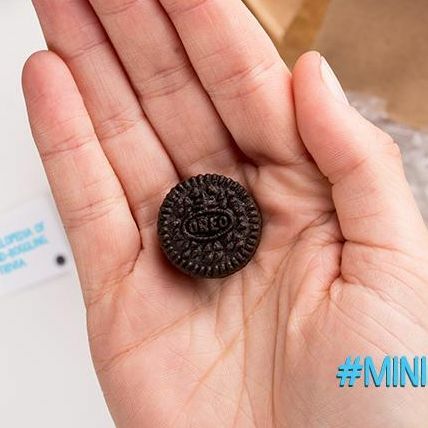 To drum up interest for its new Mini Oreos, the cookie company invented a “Small Town America” campaign and shipped the miniatures to 50 minuscule U.S. towns as some kind of reward for staying humble. But as the hazards of small-town life go, it seems that all 81 residents of Mauckport, Indiana, came to a rapid consensus that it kind of sucked to get a solitary, quarter-size cookie, packaged in a sad plastic wrapper, to share with the household. “This is the talk around town and, to us, this is just a big joke,” Debbie White told the Star after documenting hers on Twitter. Oreo’s PR team shifted into recovery mode and explained that the “little deliveries” were just an overture to get more Oreos. “We originally wanted the next phase to be a surprise for residents,” a rep said. Phase two will be “a full-sized package of our new Oreo Mini Reese’s Big Bags (one per household),” that will arrive at the end of the month, which is probably better than a 50-foot-wide cookie they’d all have to share.